Welcome to Fernwood Cove, a summer camp for girls! We are happy to introduce ourselves so that you know a little about us and where your daughter could spend her summer. Every year we work diligently to provide girls with a place that embodies the Fernwood Cove philosophies of community, personal growth and simple living in the out of doors. We strive to uphold the core values that make our camp so precious in each camper’s life. We aim to create a community where girls can be true to themselves, learn about themselves and others. We hope that they will learn skills that will help them throughout their lives to be better leaders and members of a larger community.It is important to us to create an atmosphere that is welcoming and inclusive so each camper feels safe, both emotionally and physically. This allows each individual to challenge herself, take safe risks and reach her personal goals. Each year we eagerly anticipate the return of our summer family and look forward to sharing another great summer together. Jim and Beigette met while counselors at Camp Fernwood in the summer of 2002. When the opportunity arose for them to be the directors and owners of Fernwood Cove, they jumped at the prospect. 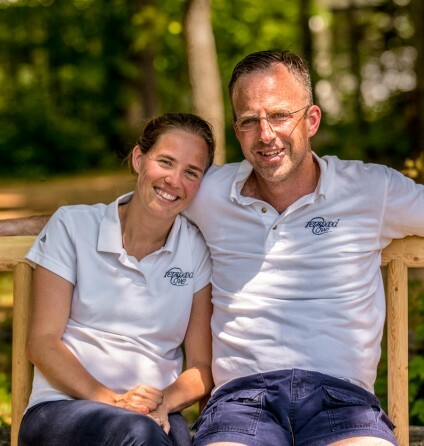 Jim and Beigette live at Fernwood Cove year-round with their children, Sylvie and Perrin. They treat all of camp as their home and humbled by their beautiful surroundings. Each summer they love welcoming Fernwood Cove campers, CITs, and staff to camp- helping Fernwood Cove become their home as well. Jim was raised in the small town of Lincoln, Maine. At the completion of high school Jim enlisted in the Navy Seabees. After five years of Military service and over a dozen countries visited, Jim returned to Maine to attend college where he studied environmental science at Unity College. His passion to fly fish and studying the world around him lead him into a career of fisheries biology, where he spent ten years working as a biologist in Dutch Harbor, Alaska. Jim began his career in camping in 1994 as an archery counselor at Camp Fernwood, an all girls camp located in Poland, ME. Jim developed the archery program into a nationally recognized program, where he coached Olympic hopefuls. Jim’s connection to Fernwood Cove began at Fernwood Cove’s inception, as he worked on the original construction crew that prepared the camp property for Fernwood Cove’s opening summer in 1999. Jim is passionate about the development of Fernwood Cove facilities and ensuring they provide personal growth opportunities for each Fernwood Cove girl. Beigette is originally from Baradine, Australia, a small town located in New South Wales. Beigette has a Bachelor of Nursing from the University of Sydney, Australia. Beigette’s career in camping began in 2002 when she traveled to the United States to work at Camp Fernwood. Throughout her two summers at Camp Fernwood, Beigette was a swimming counselor and the head of the swimming program in 2003. Beigette’s first summer at Fernwood Cove was in 2004, where she returned to the waterfront, working as a swimming instructor and overseeing all waterfront activities. Beigette also became an American Red Cross Lifeguard Instructor in 2004 and instructed the staff lifeguard course for many years. Beigette’s strong understanding of health and safety ties into all aspects of camp. Beigette is passionate about supporting the growth of each individual girl, reminding campers to think in possibilities. On September 5th, 2011, a family bike trip changed the lives of Jim and Beigette Gill forever. Watch their amazing and inspirational story below! Caroline grew up in the Boston suburb of Wayland, Massachusetts. Her camping career began at the age of five as a day camp camper. 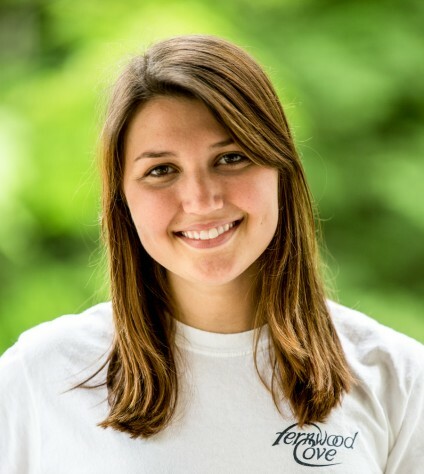 Caroline joined the Fernwood Cove family when she was nine years old and continued as a camper through her senior summer. As a counselor Caroline instructed vocal theatre and wakeboard/water ski. In 2014 she joined the full time director team and is currently an Associate Director, where she oversees camper recruitment and the residential aspects of camp life in the summer. Caroline graduated from the University of Maryland with a Bachelor of Arts degree in Psychology and recently completed her Master’s Degree in Camp Administration at Touro University. Caroline has chosen Maine as her new home, where she lives with her husband Rich and their two dogs, Cooper and Bradley. Alicia grew up in a small town in the Blue Ridge mountains of Virginia. Alicia fell in love with summer camp while attending 4-H camp at W.E. Skelton 4-H Educational Conference Center. She continued as a CIT, teen volunteer, and staff member. As a camp counselor Alicia instructed a variety of aquatics activities and held leadership positions, assisting in the coordination of camp. Alicia also completed a semester-long internship at the 4-H center, where she developed and instructed outdoor and environmental education activities for school groups. Alicia joined the Fernwood Cove family in 2002 as a canoeing instructor. Alicia transitioned to the administrative team following her first summer in Maine. 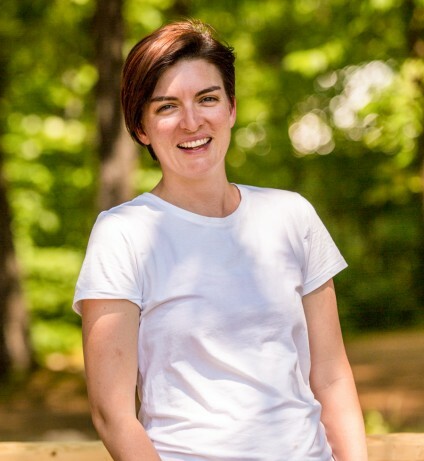 Alicia is now an Associate Director, where she oversees the hiring and training of Fernwood Cove staff, and develops the Fernwood Cove CIT Program. Alicia lives in Summerville, SC with her husband Patrick, and children Gabi and Jax.